There are 15 UNESCO World Heritage Sites in Sweden. Of these sites, 13 are cultural, and the other two are mixed and natural. A vast limestone plateau is the major feature of the southern part of Oland Island in the Baltic region, specifically close to the Baltic Sea. According to archaeologists, the earliest sign of human settlement date back to 5,000 years ago. The people who lived on the island adapted their way of living to suit the conditions of the land. This brought about a unique cultural landscape that was known to the island alone. This archaeological site in Birka was inscribed into the list of UNESCO World Heritage Sites in Sweden in 1993. It is located within Bjorko Island and was occupied during the 9th century. The other half of this property is Hovgarden. This one is located on the island of Adelso, which is within close proximity to Bjorko Island. These two sites form an archaeological complex that exhibits the trading practices of the Viking Age in Europe and how it shaped the history of Scandinavia. This is also where the first Christian congregation was held at in Sweden in the 9th century. 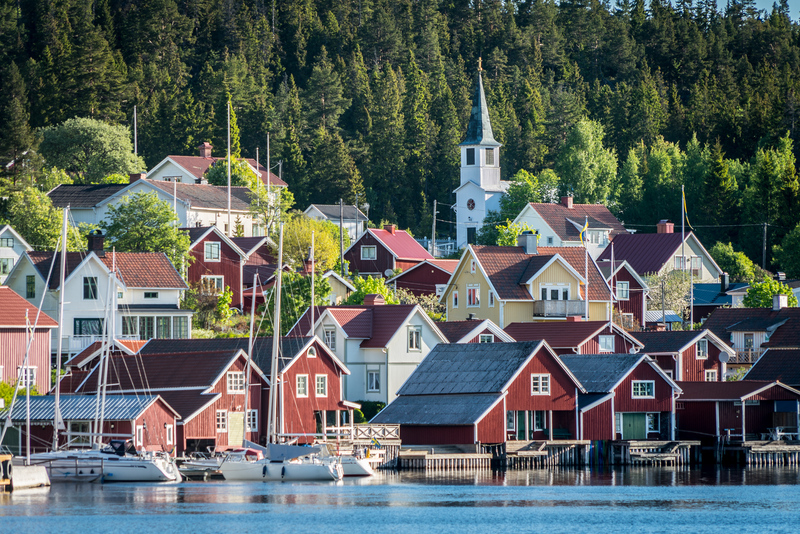 Located at the tip of the Gulf of Bothnia, this is believed to be the best example of a ‘church village’. It is unique and was pretty common especially in the northern part of Scandinavia. The village consists of 424 wooden houses with a 15th-century stone church being the focal feature of the village. The church is the place of worship every Sunday and where religious festivals are held. Visiting this village is like stepping back in time to the 15th century. Hence, it was a clear shoo-in to the list of UNESCO World Heritage Sites in Sweden. This property was inscribed into the list of UNESCO World Heritage Sites in Sweden in 2012. It consists of 7 timber houses that represent a building tradition in east Sweden that relies on timber as the main material for construction. This building tradition was believed to have originated from the Middle Ages. Hence, these timber houses exhibit how the independent farmers flourished during that time and build elaborately decorated ancillary houses that were used for festivities. There are also art paintings on the walls of these houses that feature Baroque and Rococo style. This is another cultural site included in the list of UNESCO World Heritage Sites in Sweden. It is located in the village of Angelsberg and was built in 1681. It was Per Larsson Gyllenhook who built this ironworks and turned it into one of the world’s most modern ironworks facility from the 18th to the 19th century. Before this facility was built, iron production has been around in Sweden since the 13th century. The workers used primitive furnaces for mining ore and producing iron that time. This radio station in Varberg, Sweden was built in 1922-24. It was noted as one of the cultural sites listed on the UNESCO World Heritage Sites in Sweden since it is a monument that preserved wireless transatlantic communication that was ahead of its time. Some of those included in the property listed by UNESCO was the transmitter equipment and aerial system consisting of 6 high steel towers. Even though these communication equipment is no longer in use today, they are still undergoing maintenance and in good working condition. 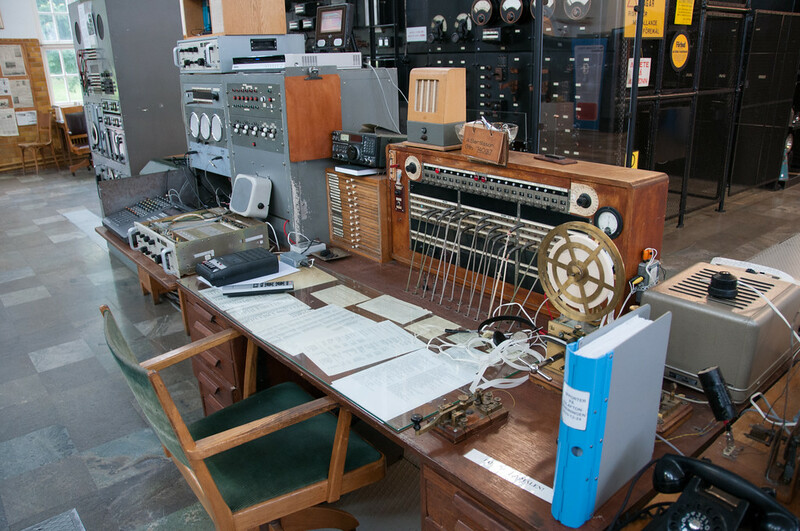 It is one of the few sites in the UNESCO listing that recognizes the development of communication technology. Visby is a former Viking site and served as the main center of the Hanseatic League from the 12th to the 14th centuries. The town features a 13th-century defensive wall, over 200 warehouses, and dwellings for the wealthy merchants that reside in this town. All of these were distinctive features that make it one of the best preserved fortified commercial towns during its time. This large mining excavation site serves as the best illustration of how important copper production was in Falun during the 13th century. The Great Pit, specifically, is the most important excavation site within this cultural landscape. Falun is a planned town founded in the 17th century. It consists of other historic buildings both constructed for domestic and industrial purposes during that time. This town is the best example of a 17th century planned naval city in Europe. Even though it was founded late in the 17th century, most of the town’s planning and layout remains intact today. The planning for this town incorporates elements derived from other countries’ naval towns. The site of these rock carvings was inscribed into the list of UNESCO World Heritage Sites in Sweden in 1994. According to UNESCO, these rock carvings manifest a “unique artistic achievement” and provide a glimpse into the way of life for the people who lived on the site during the Bronze Age. The motifs of these rock carvings include humans, animals, boats, and weapons. Aside from the fact that these rock carvings are present in large numbers, they are also in a well-preserved state. The Royal Domain of Drottningholm is located on the island of Lake Malar. This complex contains a lot of architectural features that helped earn its nod as one of the UNESCO World Heritage Sites in Sweden: royal castle, 18th-century theater, Chinese pavilion, and gardens. This is considered as the best example of an 18th-century royal residence in Europe, which took inspiration from France’s Palace of Versailles. This cultural site is a cemetery in the Enskededalen district of Stockholm, Sweden. The cemetery is a work of Sigurd Lewerentz and Gunnar Asplund, which is a winning design in an international competition to design a new cemetery in 1915. The cemetery design is inspired by the architectural development of Nordic Classicism into a mature functionalism. The Struve Geodetic Arc is a series of survey triangulations that start from Norway and crosses through 10 countries: Estonia, Belarus, Finland, Latvia, Lithuania, Norway, Moldova, Russia, Ukraine, and Sweden. This helped to achieve the first accurate measurement of a meridian. It was German-born Russian scientist Friedrich Georg Wilhelm von Struve who established the exact size and shape of the earth. Hence, this site was listed as one of the UNESCO World Heritage Sites in Sweden and for the ten other countries it belongs in. The Kvarken Archipelago consists of over 5,600 islands that were formed out of melting continental ice sheets. These islands developed for over 20,000 years that resulted in the formation of unique ridged washboard moraines (also known as De Geer Moraines). And yet, the islands are still continually moving and developing as the Archipelago continues its rise from the sea via rapid glacial-isostatic uplift. Like the Kvarken Archipelago, the High Coast also developed due to glacial activity in the region. Both of these sites were included in the list of UNESCO World Heritage Sites in Sweden for their ability to showcase the importance of glacial activity in shaping the Earth’s surface. This enormous mountainous wildlife area is located in Northern Sweden and is the only mixed site within the list of UNESCO World Heritage Sites in Sweden. Since the 20th century, a majority of this area had been placed under protected status. But when it was inscribed into the UNESCO list in 1996, the protection status has been reinforced and expanded. It is the largest unmodified nature area in the world that is cultured by the natural inhabitants. Even though some parts are used as pastures, it is generally intact. The area also consists of several natural parks and nature reserves (about 95% of the land area). In addition, there are also 3 major hydropower stations and 100 wind power stations within the Laponian Area.